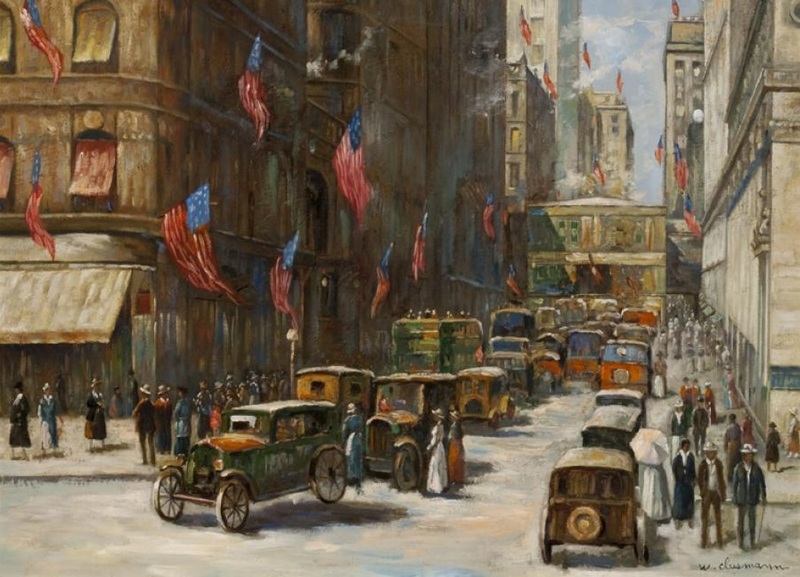 Detail from Chicago Street Scene, undated oil on canvas by American artist William Clusmann (1859–1927). Image courtesy of M. Christine Schwartz Collection. Anderson criticized the writers of popular fiction that pandered to the public’s desire for adventure, romance, or moral uplift. . . . He maintained instead that fiction should take on a natural form that, instead of distorting life, captures it honestly. While art is distinct from real life, “the imagination must constantly feed upon reality or starve.” This is the essential point in “Certain Things Last” . 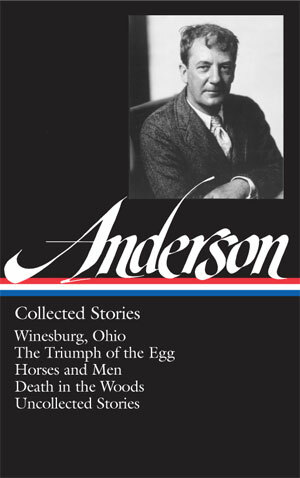 . .
What makes Sherwood Anderson’s stories so special (when you read the stories in Winesburg, Ohio, for instance) is the way he extracts from the ordinary something so uncanny, so sublime, so extraordinary . . . and that defines him as a writer. It’s his ability to work with the plain encounter and to record the way it feels simply to be a person in the world. In “Certain Things Last,” he’s giving, in a sense, the most candid, honest, and searching interview a writer could give. . . . It’s an amazing example of metafiction—in other words, “fiction about fiction,” that reveals the process of the writer: a writer talking about craft. Free audio: This selection is accompanied by a streaming audio version, read by the acclaimed author Ben Marcus. For a year now I have been thinking of writing a certain book. “Well, tomorrow I’ll get at it,” I’ve been saying to myself. Every night when I get into bed I think about the book. . . . If you don't see the full selection below, click here (PDF) or click here (Google Docs) to read it—free! Certain Things Last-is pure and simple stream of consciousness. A writer's job is undoubtedly very tough. Thoughts and ideas look great when they are in the mind, in an amorphous state. The minute you ink them, they look so sick you want to disown them. I have tried writing small pieces for newspapers. If it is reportage it is easy, so is memoir. But translating "flights of fancy" is like giving birth to a child. Probably, delivering a child is easier. There is physical and mental investment and after nine months gestation, the baby gets out. You can't say the same thing of thoughts. Not a very good short 'story'. Doesn't say anything about creative process. Only comments on surrouding environment, and the translated environment, again by immediate surroundings. Basic imagination. And simplistic voice. This is what Sherwood Anderson was? Self-importance based on nothingness.